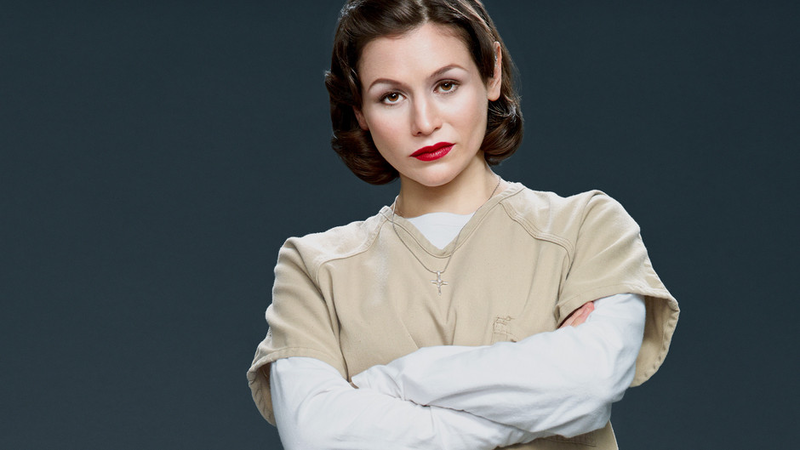 'Orange is the New Black' (aka the most addictive TV show ever) | What Does Mel Think? Now I will start off by saying I wouldn't recommend watching this if you are 16 or under. At times it can get pretty graphic and I don't want to be held responsible for ruining your innocent mind. Orange is the New Black is an American prison drama/comedy. It will have you on the edge of your seat one second, then laughing until you cry, then just plain crying, I still don't understand how it does that. Probably because of the amazing character development and the way you even feel sorry for the convicts because you see so much into their back story. There has been two seasons so far which follow mainly the life of Piper Chapman. Piper was sentenced to 15 months in prison after helping her drug dealing girlfriend transport money. Whatever picture you may have painted of her from this does not meet her squeaky clean first impression. It turns out now she is with her boyfriend Larry and has turned her back on her girlfriend and her bad influence. However, her girlfriend lists her as one of the accomplices and she gets put into prison. And generally the whole 'Latina' crowd because I'm genuinely impressed that I can understand what they are saying about 80% of the time! Thank you A Level Spanish! If you decide to start watching let me know what you think and we can have a big old discussion about it. Or if you have watched it and didn't really like it I would love to know why because so far everyone I've talked to has loved it!